I’m very excited about most of these new features, especially in the liquid interaction and geometry shaders, as those will have a big impact on my day to day work. It’s very obvious to me that this update was to entice the creative and artistic side to the user’s interaction, whereas, Keyshot 7 definitely appealed to the workflow and user interface side of things. Luxion also held a closed competition for Beta testers to push for the best image and animations showcasing the new features. I participated with two entries, (Seen below) and the Luxion team awarded me with a First Place prize for the Beer Mug. I modeled all of the parts in Blender, and imported them into KS8 for the composition, lighting, shading and rendering. 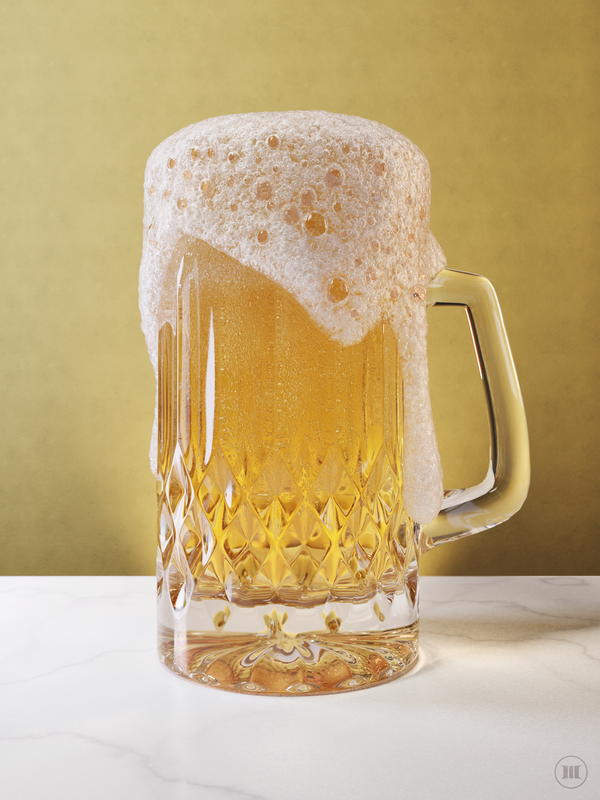 I utilized a few of the new features including displacement, bubble scatter, openVDB support, and definitely the new nested dielectrics approach for the liquid in the glass interaction. My other entry was actually my original submission for the contest, but after a deadline extension, I decided to go for the Beer Mug attempt. (Thankfully it paid off!) For this image, I wanted to of course, showcase, displacement (see plate, and crumbs) and liquid interaction, as well as the bubbles. 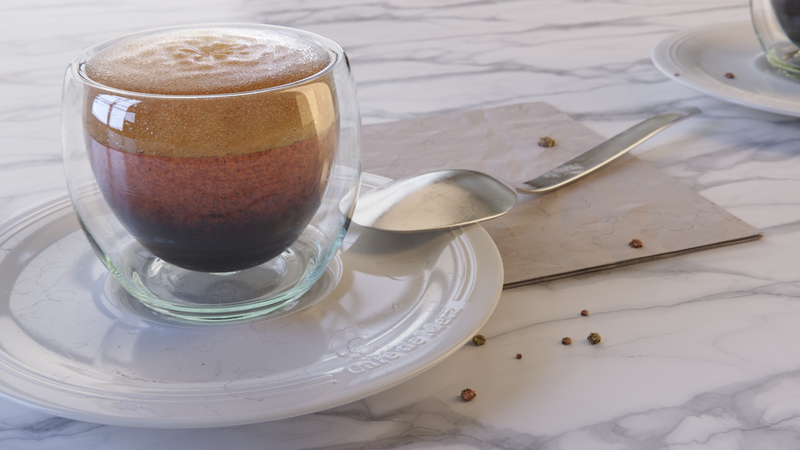 Here the crema of the espresso is actually from a cloudy plastic shader with super high density on the bubble scatter. or possibly a suggestion for how to improve MerzTheThird ?